Timmy Turner, the first male 담홍색, 핑크 Ranger. 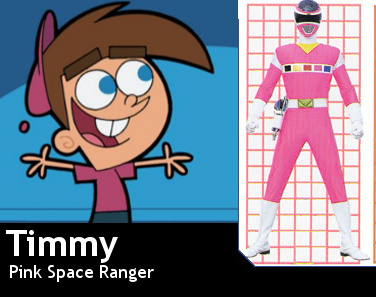 Here is the first male 담홍색, 핑크 Ranger, Timmy Turner. Wallpaper and background images in the The Fairly OddParents club tagged: timmy fairly odd parents timmy turner pink power rangers male first. This The Fairly OddParents fan art contains 애니메이션, 만화, and 만화책. There might also be 스테인드 글라스 창.